Enjoy the magic of Christmas while watching one of Madrid´s finest flamenco shows and dining on a delicious, traditional Spanish Christmas meal. 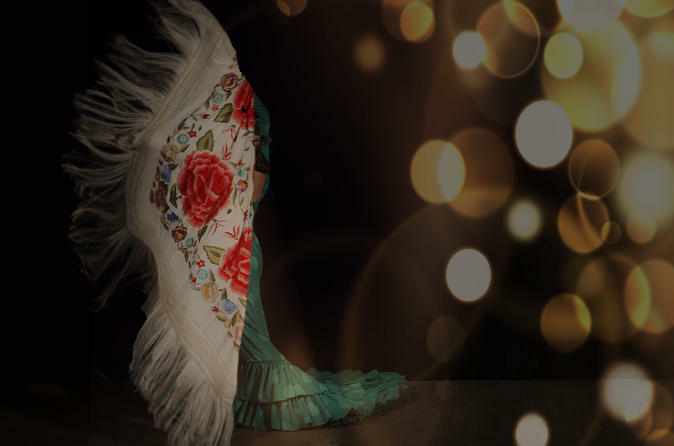 The flamenco show comprises four artists: guitarist, singer and male and female dancers chosen from some of Madrid´s finest artists of the moment. Taberna Flamenca El Cotijo is an iconic flamenco venue located in one of Madrid´s most traditionally flamenco areas. The four course meal includes:1) Mussels in white wine 2) Langoustin, avocado, salmon and nut salad in vinaigrette 3) Choice of main course (Sea Bass with clams and or Roast Beef in Port sauce) 4) Lemon sorbet and traditional Spanish sweets. Wine (Rioja or Rueda), beer and soft drinks are included. Our waiting staff speak English, Spanish and other languages so there's no need to worry about language difficulties. The Flamenco show, divided into two parts with a short break in between will take us into the early hours of Christmas day leaving plenty of time to take public transport if necessary.